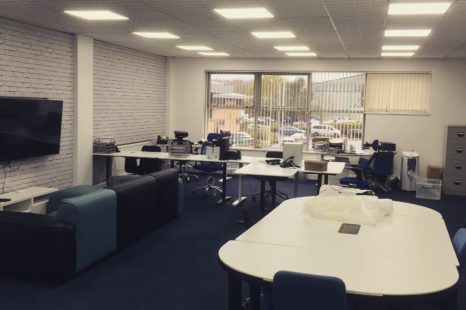 This first floor office is available to let on flexible, inclusive terms. This unit is available with furniture if required. It is a smart open plan office space with its own kitchen facilities and 2 car parking spaces.